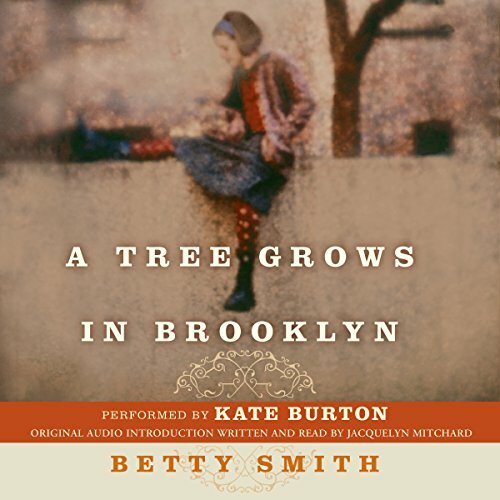 Why You Should Download This Audiobook: Betty Smith's immensely moving novel is essentially a paean to the human spirit—among most uplifting works we can think of. It's one of those stories you delight in giving to a good friend or family member who might be facing difficulty, certain that it could change the way they perceive life or give them strength to overcome a problem. It's also worth mentioning that this novel is a refreshing, plainspoken American work, a welcome change of pace if you've been lately persuing dense or complex works of literature. A moving coming-of-age story set in the 1900s, A Tree Grows in Brooklyn follows the lives of 11-year-old Francie Nolan, her younger brother Neely, and their parents, Irish immigrants who have settled in the Williamsburg section of Brooklyn. Johnny Nolan is as loving and fanciful as they come, but he is also often drunk and out of work, unable to find his place in the land of opportunity. His wife Katie scrubs floors to put food on the table and clothes on her children's backs, instilling in them the values of being practical and planning ahead. When Johnny dies, leaving Katie pregnant, Francie, smart, pensive and hoping for something better, cannot believe that life can carry on as before. But with her own determination, and that of her mother behind her, Francie is able to move toward the future of her dreams, completing her education and heading off to college, always carrying the beloved Brooklyn of her childhood in her heart. ©1947 Betty Smith (P)2001 HarperCollins Publishers, Inc. I won't waste time talking about the worth of this classic story. In my 50+ years on this earth I somehow never read it, dismissing it as "young adult fiction", and I am sorry and shamed now, because it is not that at all. It is one of the finest books I've ever listened to. HOWEVER, because it was new to me, I was very sorry to hear the introduction (not skippable, because it is not separated from the first chapter) which GAVE AWAY all the key parts of the story at the end of its schmoozy praise of the novel. Really, really disappointed to have a spoiler like that for such a great book - it should have been featured AFTER the story. The narrator is quite good and I love her way with accents, but she should learn that "suite" is pronounced "sweet" and not "suit". Also disturbing is the weird incidental jazz music, not at all indicative of 1911 when the story begins, which breaks startlingly, alarmingly between chapters. It's out of character for the story and jarring to the ear. 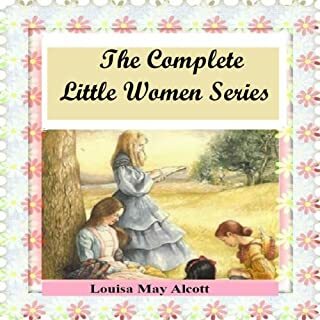 Many of our own lives can relate with the author as she tells a story of a life so similar to the lives we live in today's world ~ It had romance, excitement, childhood fantasies, family tolerance, sibling protection and teasing, fears of change, tears of joy and sadness. I wish it never ended. Yes, this was a great audio for children and adults. I was especially glad my 12 year old and I listened together. I have never seen him so often pause an audio to discuss various aspects -- the clothes, the ethnic stereotypes, what various words meant, etc. Those discussions were probably as educational as anything. He's reading this book for school, but I know listening to the audio while he has the book in front of him has made it into a pleasure for him. Which character – as performed by Kate Burton – was your favorite? 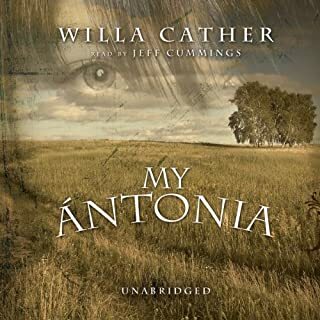 Probably Francie, but Kate Burton is a wonderful all--around narrator. I think it is too intense and long, but certainly it is compelling to listen as long as you can. We're actually on our second listen, which is unusual to imagine for such a long book. 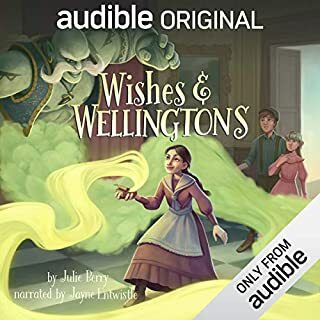 Ordinarily I like some music as a part of an audio, but somehow the music played between chapters here is a little jarring. My son calls it Random Music Moment. 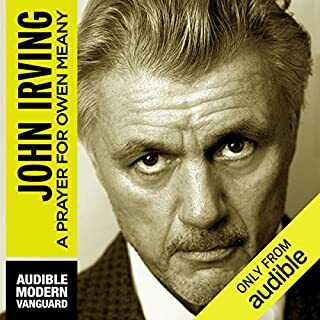 This was one of my favorite books I've ever purchased from Audible. 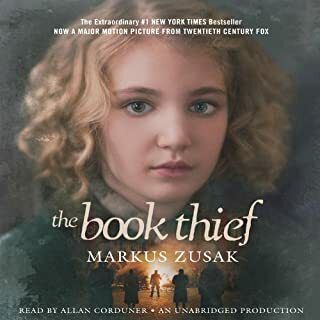 The narration doesn't get better than this in audiobooks, and the story is nothing short of classic and a truly wonderful coming of age story. Excellent book I highly recommend it for anyone at any age. This is a must read for anyone who considers themselves well read. The book is beyond fabulous and although it takes place in the early 1900's there's nothing about the story that is dated. It is about love and loving, growth, famlies, immigration, learning and passion. You will find yourself in every character as well as your mother, father, aunts and uncles. A Tree Grows in Brooklyn should be required reading. The only caution is the prologue. It's a self indulgent, self congratulatory piece of goo that adds nothing to the story and may put you off of what is a spectacular piece of literature. Centered around the protagonist Mary Frances Nolan who is 11 years old at the onset of the novel, ATGIB tell the story of a poor family, struggling in Brooklyn in the early 1900s. Mother Katie is a proud, hard-working, practical, woman who tries to make ends meet by working as a cleaning woman, while her husband Johnny escapes reality through alcohol. It depicts the hard road traveled by their two children Francie and Neeley, her younger brother, as they go to school and work while learning about life and how to survive its cruelty. It also depicts the strong love of family. How in difficult circumstances they stick together and even though their situation whittles away at their endurance, they still manage to stick together as their love, devotion and loyalty to one another triumph. Katie’s sisters Evy and Sissy are strong women who also struggle through life’s challenges, but never back away as they persevere and face adversity head on. ATGIB is story telling on a whole new level. Moving and inspirational, it reaches in to your heart and pulls you into its time, place and circumstance. A true classic. Kate Burton did a fine job with the narration. Francie Nolan is coming of age at the turn of the century in the slums of Williamsburg in Brooklyn. It's a story of perseverance, heartbreak, cruelty, and optimism. Am just reading this as an adult and can't believe it wasn't required in my high school. Fantastically written account of a family struggling to beat the odds for a better life. If you've ever read, "Angela's Ashes" then this is a tamer U.S. version beautifully capturing the struggle for the American dream. As fresh today as when it was written. 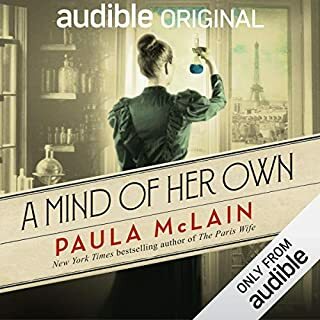 Not a plot-driven story, but a rich, rewarding listen about life in turn-of-the-century Brooklyn, as well as a warm and endearing coming-of-age story of young Francie. Could not be more delightful. Couldn't stop listening! Try it, you'll like it. I have loved this book from the time I was 13, which is a 47 years ago. I have read it several times and loved the audio version just as much. What a classic. This book is a wonderful classic about life in New York in the early 20th century. The reader's accents were perfect. Her rendition of the book is superb. I would easily recommend this book to a friend and doubly so if this friend had young daughters. This story had strength, vulnerability, perseverance and some serious grit! Have you listened to any of Kate Burton’s other performances? How does this one compare?